O ano? 1990. Para ler esse post , melhor seria ouvindo essa música(clique AQUI). Num mundo onde o rosa-shock , o verde florescente e clipes musicais em preto-e-branco imperavam. Um grande evento estava para acontecer: Chamado de "Primeiro Seminário Internacional de Ving Tsun Kung Fu" como diz o cartaz abaixo. Pela primeira vez teríamos em solo brasileiro, um discípulo direto do Patriarca Ip Man: Grão-Mestre Moy Yat. The year? 1990 To read this post, it would be better listening to this song (click HERE). In a world where the shock-pink, flourishing green and music videos in black and white reigned. A great event was about to happen: Called "First International Seminar of Ving Tsun Kung Fu" as the poster below says in portuguese. For the first time we had on Brazilian soil, a direct disciple of the Patriarch Ip Man: Grand Master Moy Yat. Porém, enquanto tudo que eu mais queria com meus quase 7 anos de idade era um aparelho "Moving Sound" da Phillips bem longe dali na pacata Rocha Miranda. O jovem Si Baak Anderson Maia, com apenas 16 anos, participava deste evento no dia 18 de Agosto de 1990. However, while all I wanted more with my almost 7 year old was a "Moving Sound Phillips" far away in the quiet Rocha Miranda neighbourhood. The young Si Baak Anderson Maia, 16 years old, participated in this event on August 18, 1990. Segundo as próprias palavras de Si Baak Anderson: "...Recebi o meu primeiro certificado, do seminário ocorrido, e, muito jovem, com 16 anos, ousei em pedir algo mais ao meu Si Gung. 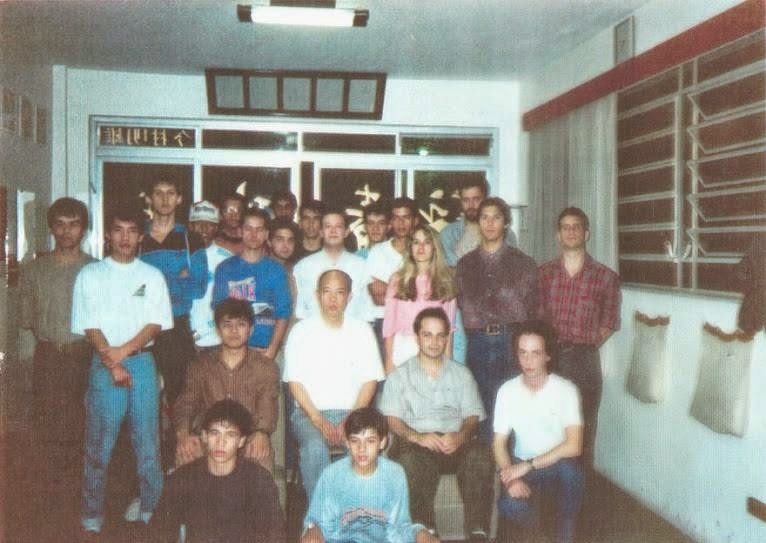 Eis que Grão-Mestre Moy Yat escreve, no meu caderno de anotações, as auspiciosas palavras: "Promover a Cultura Chinesa, Moy Yat, Brasil, 18/8/1990..."
In the words of Si Baak Anderson. "... I received my first certificate,from the seminar, very young, at 16 years old, I dared to ask for something more to my Si Gung. 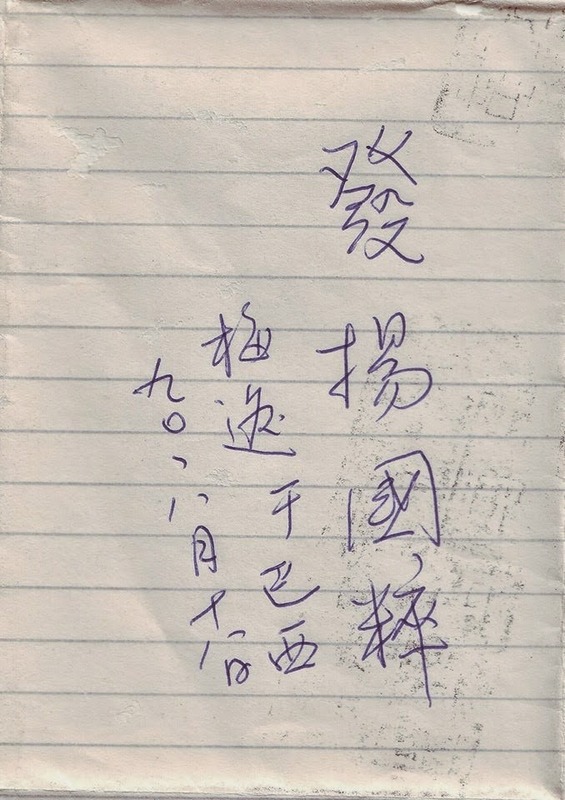 So Grand Master Moy Yat writes in my notebook, the auspicious words: "To Promote the Chinese Culture, Moy Yat, Brazil, 18.08.1990 ..."
Si Baak Anderson Maia é o diretor do Núcleo Belo Horizonte e líder da Família Moy On Da San, do Clã Moy Yat Sang. 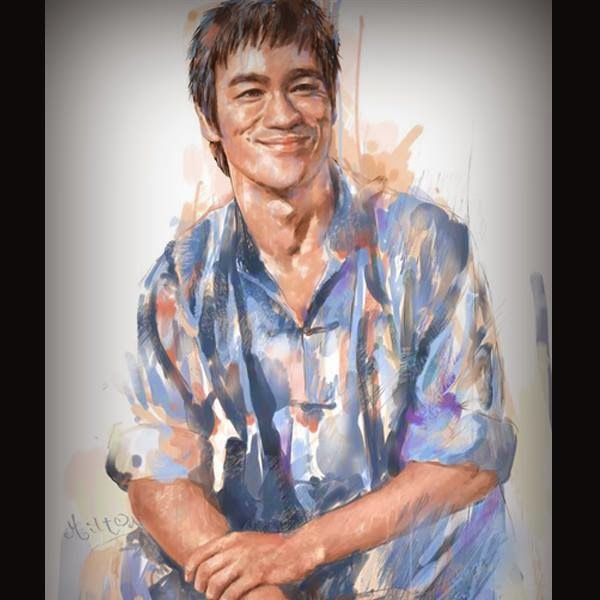 "Si Baak" é como chamamos um praticante mais antigo (Si Hing) do que nosso "Si Fu" (Mestre). Dessa forma, podemos dizer que Si Baak Anderson é Si Hing de meu Si Fu Julio Camacho. 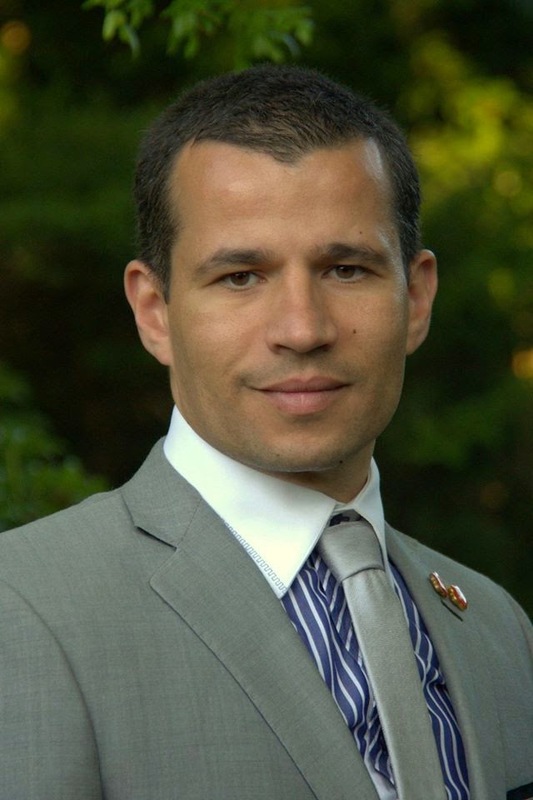 Si Baak Anderson Maia is the director of the MYVT Belo Horizonte School and leader of the Family Moy On Da San of Moy Yat Sang Clan. "Si Baak" is what we call an older practitioner (Si Hing) than our "Si Fu" (Master). Thus, we can say that Si Baak Anderson is Si Si Hing of my Si Fu Julio Camacho. Dia 18 de agosto de 1990. Era a primeira visita de Grão-Mestre Moy Yat ao Brasil. 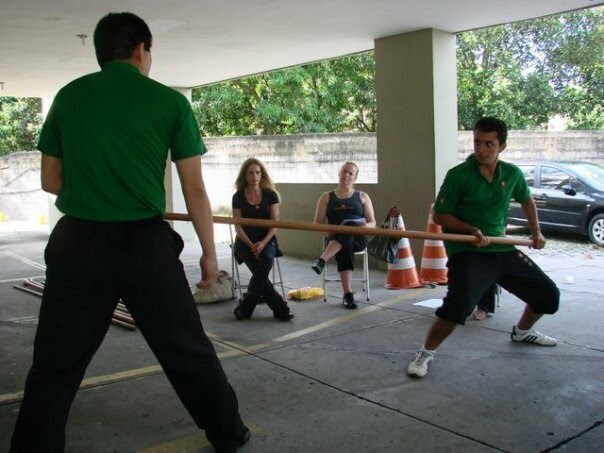 Oficialmente, era o primeiro dia de Si Baak na Moy Yat Ving Tsun, em São Paulo. 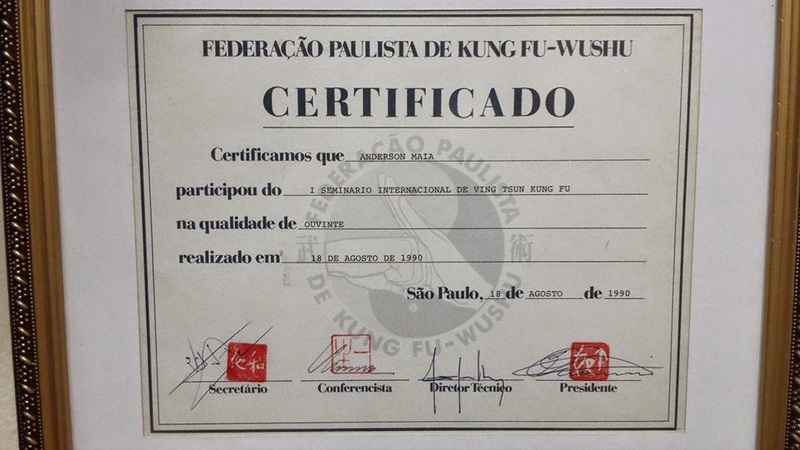 August 18th 1990 was the first visit of Grand Master Moy Yat to Brazil. Officially, it was the first day of Si Baak Anderson in Moy Yat Ving Tsun, in São Paulo. Ele foi aceito membro da Moy Yat Ving Tsun em 22 de agosto de 1990, sendo atualmente o mais antigo discípulo ativo do Mestre Leo Imamura no Brasil. Em 1991, Si Baak Anderson Maia fundou a primeira escola com a denominação MYVT em Minas Gerais, no centro da capital mineira. Em 10 de outubro de 1998, recebeu o nome Moy On Da San, em cerimônia de discipulado com o Grão-Mestre Moy Yat (1938-2001) e a Sra. Helen Moy, esta última, a atual líder do grande clã Moy Yat. He was accepted as member of the Moy Yat Ving Tsun on August 22, 1990, and is currently the oldest active disciple of Master Leo Imamura in Brazil. In 1991, Si Baak Anderson Maia founded the first school under the name MYVT in Minas Gerais State. In its capital´s downtown. On October 10, 1998, was named Moy On Da San in discipleship ceremony with the Late Grand Master Moy Yat (1938-2001) and Mrs. Helen Moy, the current leader of the great clan Moy Yat. Segundo palavras de Si Baak Anderson: "...São 24 anos completados... Uma grande honra ajudar meu Si Fu a promover o legado de Grão-Mestre Moy Yat, em meio à tantos e incríveis mestres da cultura chinesa..."
In the words of Si Baak Anderson: "... It is 24 years completed ... A great honor for me , to be able to help my Si Fu to promote the legacy of Grand Master Moy Yat, and amid so many amazing masters of Chinese culture ..."
Em 15 de março de 2003(foto), ele foi reconhecido mestre qualificado pela Moy Yat Ving Tsun Martial Intelligence, com repercussão internacional, sendo esta a primeira titulação deste gênero na América Latina. 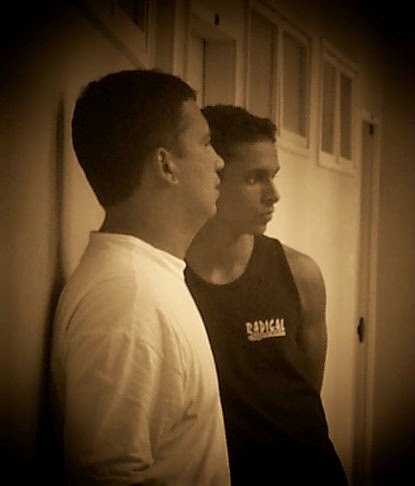 On March 15, 2003(photo above), he was recognized as a Qualified Master by Moy Yat Ving Tsun Martial Intelligence, with international repercussions, this being the first Cerimony of its kind in Latin America. 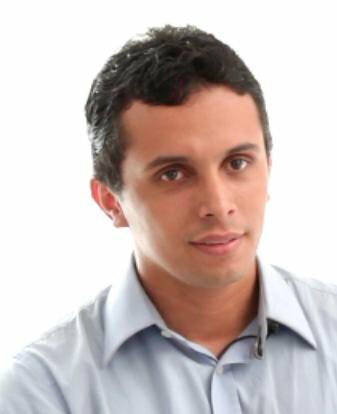 O Blog do Pereira felicita Si Baak Anderson por esse incrivel marco. Muitos sabem o quão difícil é viver no Circulo Marcial. Por ter se mantido vivo e respeitado tanto tempo dentro dele, realmente Si Baak Anderson é fora de série! The Peartree´s Blog congratulates Si Baak Anderson by this incredible moment. 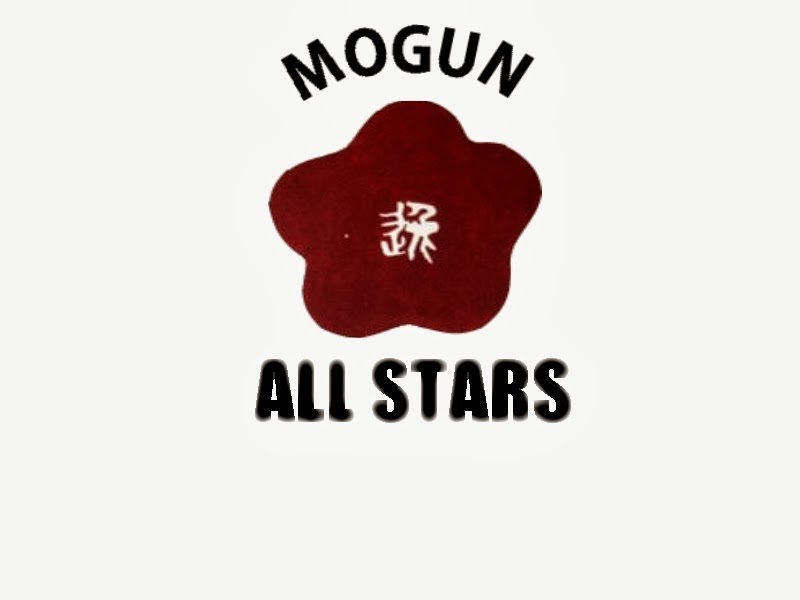 Many know how hard it is to live in the Martial Arts Circle. For having kept himself alive and respected for so much time into it, Si Baak Anderson is really outstanding!